Gamers, are you looking for your next best “performance for the buck” video card? Look no further than Nvidia’s 8800GT, promising GTX like performance with a midrange price. I can see it now, 8800GT SLI. Perfect for Crysis or Call of Duty 4. Yum. The review/benchmark scores/images shown above comes from Expreview. IE Only, sorry. That’s 20 pages worth of 8800GT benchmarks and testing. Enjoy. Performance….itâ€™s great and a lot better than we thought. It also doesnâ€™t look like theyâ€™re going to do an AMD with press samples only, as we have heard that ASUS, BFG Tech, MSI, Inno3D and Palit are all due into Australia as early as Monday. This model is probably a bit of a core dump so NVIDIA are ready to ramp up production of their new cards due out later this year, but this isnâ€™t something you would complain about. 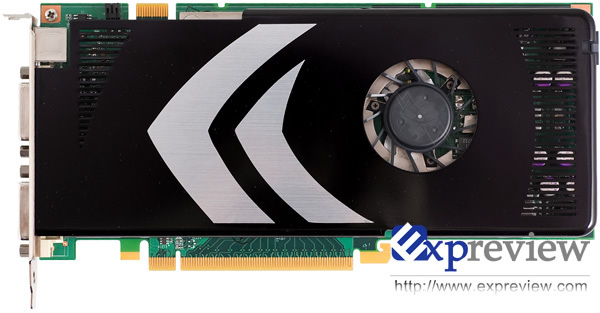 It allows people to turn around and pick up a high performance DirectX 10 offering without breaking the bank, and with the anticipated Crysis just around the corner this could be the card to get. Drool……. I have a pair of 7800’s running in SLI with a 4800 x2 cpu and 4 gigs of ram. It still kicks a$$, but is starting to show its age with the newer games coming out. May have to break down and upgrade. Sorry, I’ll be back.. I need to get a few tissues from all the drooling I’ve done. Ok, Back to the point, This new card, the Nvidia 8800GT, is affordable for most people, it’s high performance, its good for gaming and it supports DirectX, With a good mother-board, etc, this thing will FLY. Call Of Duty 4, it’s out and its great! I reccommend all of you, with high performance Computers to buy a copy of Call Of Duty 4.